Valentine’s Day is just around the corner, and our team is in the final stages of planning for this momentous occasion. 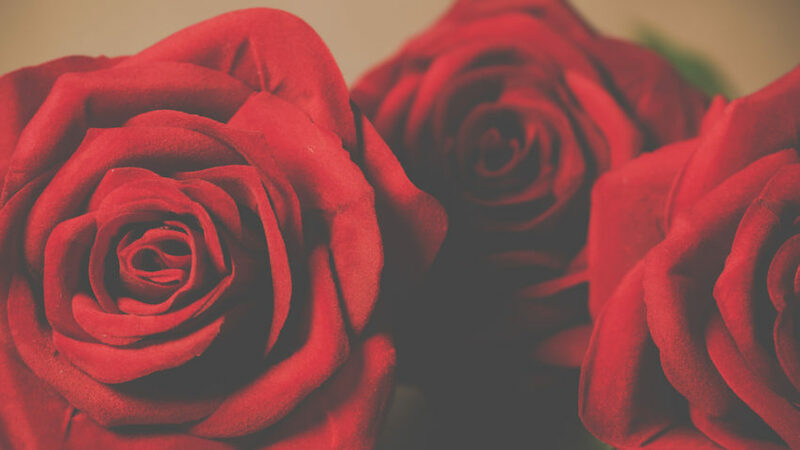 Valentine’s Day is like the Superbowl of the floral industry – it takes a lot of practice, planning, and no small amount of hard work to get everything just right. Planning for Valentine’s Day actually starts a whole year in advance. Below is an overview of the planning that goes into making this occasion happen without a hitch. Staff planning starts one year prior to the next Valentine’s Day. We use this time to evaluate what worked well and whether or not we need to increase staff based on the results. Our goal is to fulfill every single Valentine’s Day order, right down to the very last minute orders, and having the right amount of help is crucial to the process. During the year we will also evaluate new gift items, plush toys, and decorative trimming, that get added to bouquets. Around December is when the major planning kicks off. In mid-December, we place our order for roses. We have to order early because the demand is very high and we want to be sure that we have plenty on hand to fulfill the hundred and hundreds of orders that we will receive for Valentine’s Day. Also during the month of December, we start to stock up on vases, cards, bows, balloons and other decorative items. Right after Christmas, we start with Valentine’s Day promotions and advertising. We also transform our shop from Christmas to Valentine’s Day which includes a reset of the window display. Two weeks prior to the big event we will finalize all staffing assignment and map out delivery zones. Because there are so many deliveries going out at one time, we have to map out everything on a grid system. Certain staff members are assigned to specific areas and those areas correlate to where arrangements are placed for easy access in our staging area. During the week of Valentine’s Day, things switch into high gear; it is like a sprint to the finish. It is pretty common to put in 12 – 18 hour days during this week as several things need to be completed in a short amount of time. First, we make up all of holding buckets with floral preservative solutions and water. All of the buckets have to be cleaned and bleached first to make sure that no bacteria can contaminate the new solution. About three days prior to Valentine’s Day we will start “greening-up” our vases with greenery that fills in the arrangements. During this time we also start stripping down and trimming the hundreds and hundreds of roses that will make up many of the Valentine’s Day arrangements. One day prior to Valentine’s Day day we double check that all of our staff are ready and prepared. We will take a few pre-deliveries out, but the real magic starts bright and early on February 14th. Our staff of 12 will arrive and we’ll take on the task of finishing, sorting, and delivering arrangements. The deliveries usually start at 7 am and will wrap up when the last arrangement is delivered (usually around 6 pm). It is a long but rewarding day of spreading cheers and love through the power of flowers. All told we will deliver somewhere upwards of 400 arrangements. One of the biggest questions we get during this time of the year is, “how do we keep our roses fresh for longer?” It is as easy as one, two, three. Keep the flowers away from heat or direct sunlight. Make sure your vase is always full of water. Change the water in your vase when it starts getting cloudy (cloudy water means bacteria is growing). And that is how we make sure that Valentine’s Day happens every year without a hitch. Thank you for reading. We wish you all a Happy Valentine’s Day. Who can believe it is already December? We here at the florist, along with other elves with OCD, that is Obsessive Christmas Disorder, have been feverishly busying ourselves with holiday tasks. Even though we begin preparing in early summer, we are still frantically finalizing the details the night before our Annual Christmas Open House. There are always afterthoughts, exciting ideas that pop into our creative brains, even after we thought it couldn’t get any better! This year, we decided to add a fresh Christmas tree to our Farmhouse Christmas theme. What a refreshing change from the stiff artificial trees of years past. A live tree, though fragrant and beautiful, can be a bit challenging and sticky to decorate, but reaps rewards! In my opinion, a trip to the tree farm along with a barrage of Christmas carols to and from is absolutely the most joyous way to begin the holiday season. In choosing a tree, it is strange how much smaller the trees look at the tree farm as opposed to inside a building! A 10ft tree didn’t seem quite so large until we began stuffing it through the front door! As with most things though, persistence will pay off! I must say, it was worth every effort and I’m sure my husband would totally agree! Our stunning Fraser Fir traveled all the way from Ludington, Michigan, by way of Beck’s Tree Farm. It is delightfully fragrant, sturdy, strong and majestic and also very thirsty, consuming 6 gallons of water in just 14 days! Remember, trees just like flowers keep on hydrating long after they are cut. Our Fraser Fir is the perfect finishing touch to this year’s Farmhouse theme. After Christmas, this lovely tree will become a safe haven for birds, squirrels, bunnies and more animals when we return it to nature for our woodland friends to share. I hope this season will be a joyous time for all, celebrating the reason for the season, remembering those in need, and cherishing time spent with family and friends. Merry Christmas! Make a pumpkin bisque and serve it in bowls made from pumpkins that have been cut in half. The presentation is perfect for fall! After Halloween, cut your jack-o’-lanterns into five or six large slices and put them out in your yard for passing deer to snack on. Roast some of the seeds from your pumpkin, and put the rest into your bird feeder. The birds will appreciate it, and you may even see a few squirrels drop by for a treat. This is something you can do with your kids. 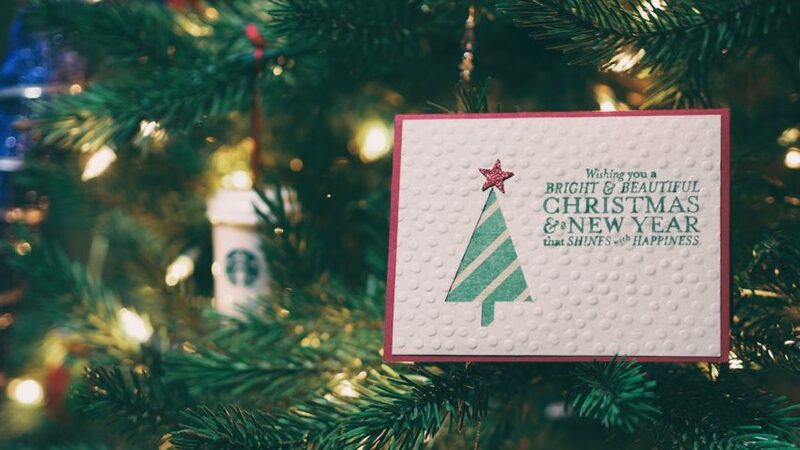 Make a tree out of brown construction paper. Then, glue pumpkin seeds on to represent the leaves of the tree. Don’t forget to display the tree on your refrigerator! Combine sugar, pumpkin puree, honey, and sweet almond oil to make a batch of pumpkin sugar body scrub. 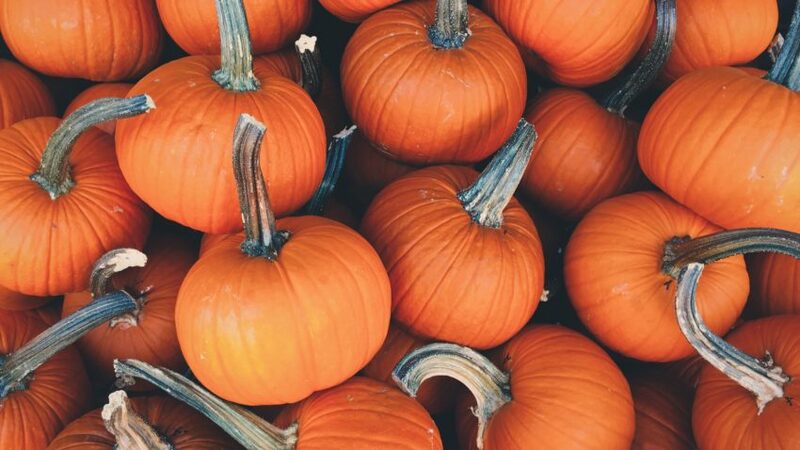 Pumpkin is an excellent source of vitamin A, vitamin C, and antioxidants for your skin. Take the seeds you scoop out of your pumpkin and store them in a dry, safe place so you can plant them in your garden next spring. After scooping the guts out of your pumpkin, put a glass container inside of it. Then, place a pretty bouquet of flowers in your pumpkin vase. Orange flowers such as orange gerbera daisies, marigolds, or zinnias are great for playing up the orange in your natural vase. Don’t throw your jack-o’-lantern out the day after Halloween: The back of it is a blank canvas. Paint the pumpkin in bright colors, or use a template to paint leaves, acorns, or even a scarecrow onto your fall fruit. If you’re planning a fall wedding, try using miniature pumpkins in place of traditional place cards on your wedding reception tables. Use a black marker to write each person’s name on a pumpkin. Use a template of script letters to make your unusual place cards look more elegant. Slice up your jack-o’-lantern and put it on your compost pile. Cutting it up helps it to compost more quickly. Load your pumpkins and jack-o’-lanterns into your car’s trunk and take them to a local farmer. Farmers use pumpkins to feed some of their livestock. Dress up your yard by creating a pumpkin planter. Be sure to make a drain hole in the bottom of your pumpkin so the moisture can move through the soil. These planters add color and are the epitome of fall décor for your yard! I made planters out of my pumpkins last year, and they added such a beautiful orange glow to the area around my front door. As a seasoned florist, I have spent many years 31 to be exact, observing the effects that flowers have on the human population. Our uncomplicated and easy to analyze research consists of sourcing quality fresh flowers, designing a stunning arrangement of colorful and fragrant blooms, hopping in our very cool “Flower Power” van, gently transporting the awesome bouquet and observing the recipient’s spectacular reaction of delight and gratitude! 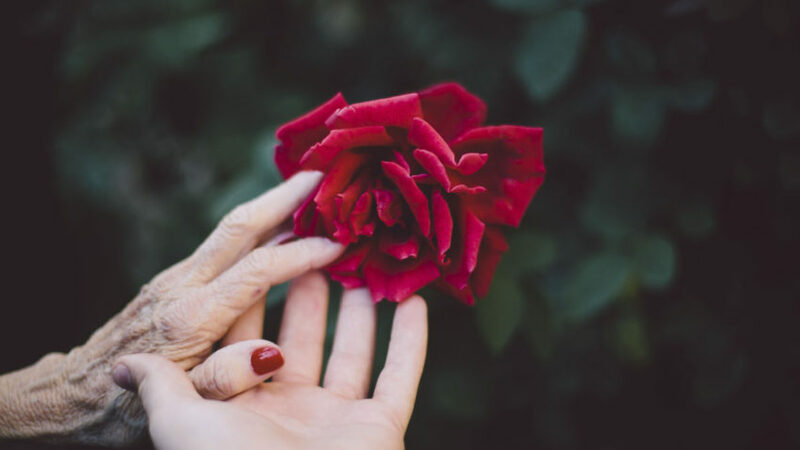 A fairly simple approach to research in comparison to the research project conducted by the Society of American Florists, which was much more involved and costly, but also producing real facts with believable results. Now let’s talk about our cherished seniors who sometimes struggle to find happiness. 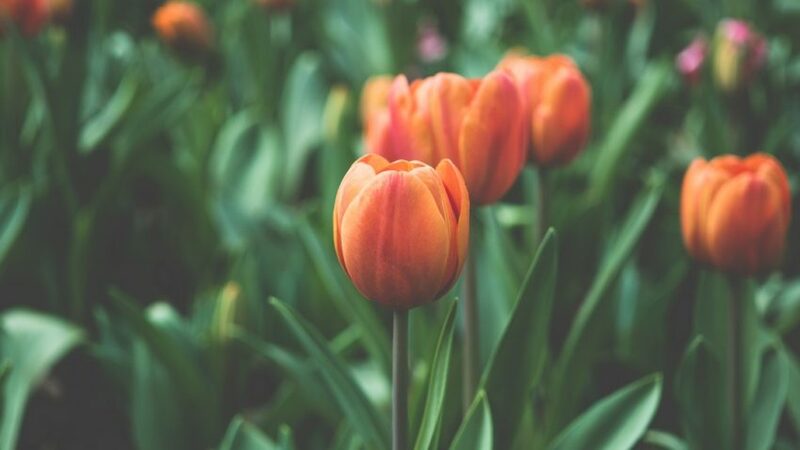 This same research team found that flowers have a significant impact on this special group of the population, such as decreased depression, improved memory, and increased social interaction. How amazing is that? Again, our own research of daily deliveries to our three local assisted care facilities demonstrates the results of smiles and happiness. It just doesn’t get any better than that! So let us start enjoying the mood-boosting, stress relieving, positive energy providing, life-enhancing power of fresh flowers every day! With so much bad news lately, from natural disasters to tragic events, it has been difficult to stay positive. Let’s face it, we could all use a bright spot in our day. On Oct 11th, floral industry members brought some much-needed happiness to communities all over the country. In 465 cities in all 50 states, florists took to the streets to randomly surprise people with flowers. Lucky recipients received two bouquets of flowers, one to keep and one to share, with a loved one, a colleague or a complete stranger. This movement called Petal It Forward, was created in 2016 to encourage acts of kindness and in turn proving the positive impact of flowers. At Country Lane Florist, we participated and gave away 200 bouquets, along with smiles to 100 people, and the response was overwhelming and most gratifying. Smiles, joyful tears, and grateful hugs were abundant, given the human connection that comes from a random gesture of kindness. To make so many people happy is one of the greatest feelings one can possess. We are thankful for all those who participated and shared kindness along with us. We look forward to 2018 when we will Petal It Forward again! We can learn from a movement like this, that it just takes one small act of kindness to change the world for the better! Let us never lose our faith in humanity, sometimes it’s a little cloudy but we can always find clarity by being kind to others! Remember, a smile costs nothing but gives much.